There is absolutely no need to invest your hard earned money into buying yourself expensive eye brow pencils that help you give a proper frame to your negligible eyebrows. 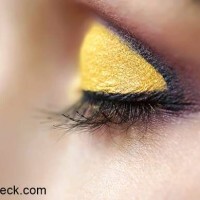 In fact, these cosmetics only offer a temporary solution which would start to fade away at the onset of the evening. Thanks to the latest advancements in technology, we now have the means of permanent eyebrow in form of eyebrow tattoo available with well established beauty clinics and salons. Eyebrow tattoos has left no possibilities in terms of shape, size and color yet to be tested. So, think of the eyebrow shape that you really fell in love but could not dare to experiment because of negligible hair follicles and bear it with the help of eyebrow tattoos. There are no second opinions to the fact that eyebrows are the most prominent features of our face. Therefore, your decisions right from the choice of their color to the right shape impacts the appeal of your face. We all spend oodles of money to get their well manicured and shapes but are left with the same uncared and shapeless brows after some time. Eyebrow tattoo has offered a permanent solution to get rid of this exhaustive beauty regime! Eyebrow tattoo is a beauty treatment that has helped thousands to bear well manicured and trimmed eyebrows of their choice for a long period of time. Of course, as nothing is permanent in nature, the effect of this treatment as well lasts for a couple of years only. In fact, eyebrow tattoo treatment was making buzz among celebrities for quite some time but has been caught in the limelight recently only. Eyebrow tattoo is a form of semi-permanent solution that offers you relief from unwanted visits and exhaustion of thousands of money into the maintenance of your eyebrows. In the method, a specialist, most commonly an experienced tattoo artist applies a semi-permanent color over the top most layer of the skin. The procedure is done with the help of a sterilized vibrating needle which simply slips in and out of the skin to cause the pigmentation or color effect. Eyebrow tattooing procedure may be carried on with the help three varied methods and the clients are asked to pick just one of them. The first and most popular one is the simple hair stroke procedure wherein tattoos of hair strands are added over the area for a more natural effect. The second method as per the specialists is the solid method and is generally adopted by those looking for a more dramatic effect. The last eyebrow tattooing method is that of shading which is employed to render a denser and fuller effect. Eyebrow tattoo is a cosmetic tool essentially used to give a semi-permanent eyebrow tattoo to both men and women. The ideal candidates for the treatment are those who have scarce growth of hair follicles on the region due to varied reasons like old age, progression of disease, hair loss due to skin diseases and / or subjection of chemotherapy sessions. Further, those who mistakenly end up over-plucking hair follicles from their brows and are not experiencing further growth are also likely to avail the permanent means of this method. People, women in particular who have scars or marks of pigmentation on the eyebrow region and experience no hair growth take the help of eyebrow tattoo for a better appeal. Lastly, those who have broader gaps between the two eyebrows may also take to the means of this method to get a better shape and size. Eyebrow tattoo is the only cosmetic solution availed by those who have experienced severe skin damaged following an accident or traumatic skin burn. The procedure offers great benefits to its takers, one of the most popular being addition of shape and definition to the eyes. 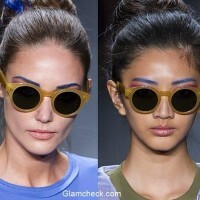 Now well shaped eyebrows further add to the appeal and as per the experts, make the eyes look bigger. 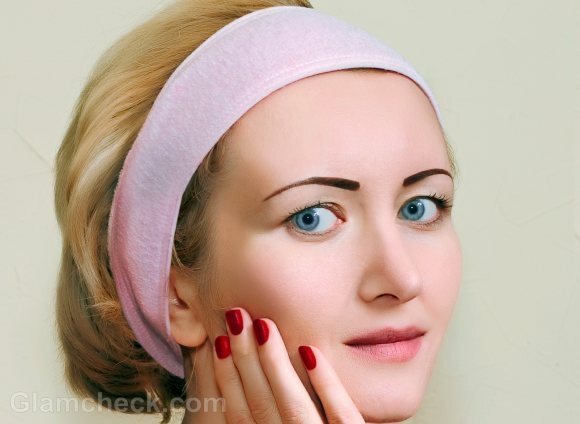 Eyebrow tattoo seems to have given the right beauty solution to the patients of alopecia and cancer of sorts who have undergone heavy loss of hair follicles on the eyebrows. Further, a dense eyebrow tattoo also works towards hiding marks of scars and pigmentation around the area of brows. Due to its long lasting effect, the treatment generally seems to last for a time span of 3-5 years without any chances of getting smudged or washed away. Not many are aware that the relieving means of eyebrow tattoo offer freedom from the usage of chemicals laden cosmetics for enhancing the shape of the brows. 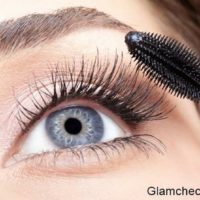 In fact, those allergic to cosmetic have a reason to revel as they are relieved from the unwanted usage of chemicals on their brows thanks to the permanent solution of eyebrow tattoo. After learning the above mentioned benefits of permanent eyebrow tattoo you decide on availing the treatment, make a list of all the salons nearby that offer the specialized services on the same. Then, refine your list further with the names of only licensed and registered salons that are offering the services of permanent tattoo. Fix up an appointment or consultation with the eyebrow tattoo specialist. Expect question on your medical history, especially prior cases on skin damages and progressing disorders in your body in this meeting. The specialist may especially look for signs of piercing, if any, on the brows, marks of pigmentation and scars as well. It is ideal to ask for qualifications as well as the portfolio of as many as three eyebrow tattoo specialists to select the best from them. Hours before the time of the procedure, wash the area carefully to remove traces of dirt, bacteria or oil around the area. Once the eyebrow tattooing procedure is over, slight tenderness, irritation, and mild swelling would be the common side effects to expect. To avoid incurring further harmful side effects, simply follow the specialist’s advice and avoid direct contact with the sun. As with most of the tattoo procedures, eyebrow tattoo is also likely to cause skin problems especially inflammation, scratches, appearance of red colored bumps and sometimes trigger allergic reactions in form of unusual itching. 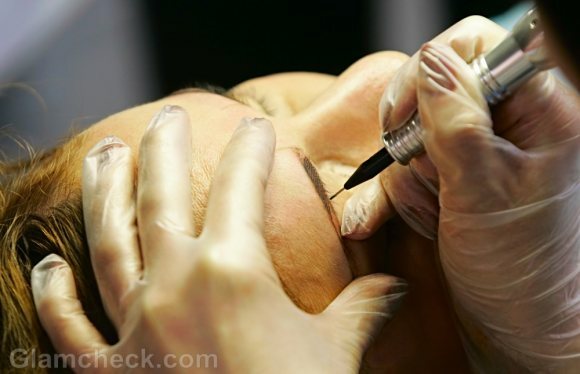 If sterilized tools are not used, eyebrow tattoo may put you in the danger of incurring dangerous diseases like Hepatitis C, Hepatitis B and tetanus. Further, the direct contact with the sun may further put the treated skin under the danger of inflammation. This can however be prevented by wearing sun shades or wearing sun screen lotion before setting out on sun. So, start hunting for an authentic clinic for getting an eyebrow tattoo and show your new beautiful self to the world!